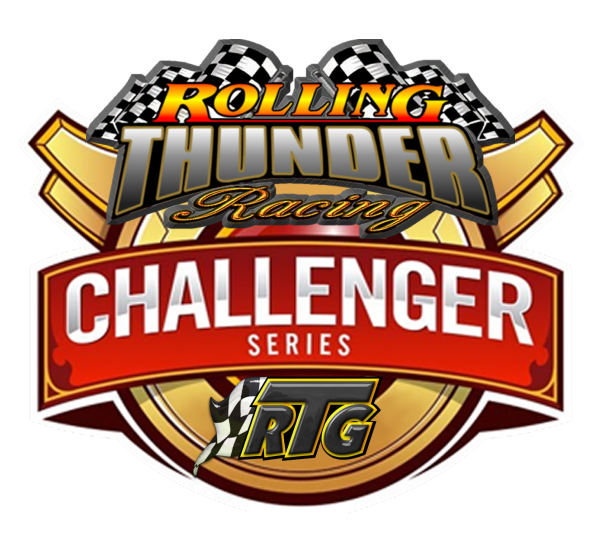 In addition to the top quality racing we plan to have for Season 33, BareBones Racing along with Wednesdays Aero 88 Series, will also be the sites for a new RTG pilot series called The Challenger Series. The Challenger series is a separate set of points to be run within the Main BareBones Series Mondays and separately within The Wednesday Aero 88 Series. Regardless of the night, the Challenger Series is NOT a separate race. The premise for the Challenger series is simple. We want all our drivers to race, and not be frustrated because, for whatever reason, they don't feel competitive against some of our drivers, even though they are ALL fine quality clean drivers themselves. There is no substitute for turning actual laps, whether you're just getting the rust out or seeking to grow and improve your own individual racing talents. The Challenger series will give that group of drivers, if they choose to, an opportunity to do that, while at the same time having their own competition within their peer group. Thus by those suggestions and league input, we are going to try out the Challenger "series within a series" concept, running within the main BareBones Racing and Aero 88 series next season. We have drivers who will be willing to help people on an individual basis, with all sorts of tips from wheel settings, driving lines, strategy and more, if they would like. Just to be clear, EVERYBODY who races on Mondays and Wednesdays will be part of the overall main BareBones Racing and Aero 88 series and it's points, just like it has always been and there will be an overall season champion and weekly winner as normal. NOBODY will be forced into the Challenger Series under any circumstances; this is only for drivers who wish to be in it based on the above. If you are already running speedways and intermediate tracks and have been contending for top five finishes, the Challenger Series within the main BareBones or Aero 88 Racing Series is not something you should sign up for. The Challenger Series will have its own victory lane each week and season champion crowned, so the Challenger drivers, while still racing in the overall series, will have their own "race within the main race" against each other, and thus extra incentive to keep turning those laps and either getting that rust out or making personal progress. If you are interested in being part of the Challenger Series, here is a link that Terry has worked hard to put together for you and explains how the Challenger Series will work and how drivers can join or be removed from it. You must race in the BBR and/or Aero88 Series for 1 season with a minimum of 7 races between the 2 series before applying to the Challenger Series. Post here to apply for the Challenger Series. Please put your Car# and Race Name in your post. Last edited by Tooslow on Sat Dec 29, 2018 4:26 pm, edited 57 times in total. Last edited by Tooslow on Tue Aug 05, 2014 6:55 pm, edited 1 time in total. Last edited by Tooslow on Wed Aug 06, 2014 8:02 pm, edited 1 time in total. Last edited by Tooslow on Thu Aug 07, 2014 9:56 pm, edited 1 time in total. Last edited by Tooslow on Sun Aug 17, 2014 6:06 pm, edited 1 time in total. Last edited by bandit88 on Wed Dec 23, 2015 8:05 pm, edited 3 times in total. Last edited by Tooslow on Wed Aug 20, 2014 8:06 pm, edited 1 time in total.